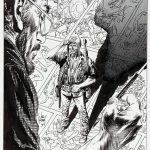 Joe Kubert was known first and foremost as a storyteller, but his work is recognizable as much or more for his unique and powerful inking. 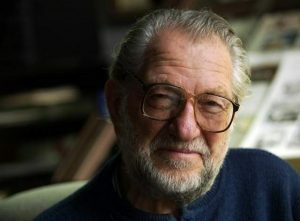 A true comics renaissance man, Kubert excelled as a writer, illustrator, editor, art director and teacher. 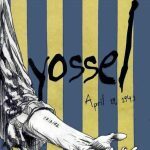 Born September 18, 1926, as Yosaif Kubert in what was then southern Poland (now Ukraine), his family moved to the USA when he was an infant and settled in a Jewish “ghetto” of Brooklyn called East New York. 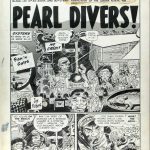 (According to Joe, his family was “upper lower class.”) His constant drawing led a schoolmate to recommend that Joe visit Golden Age comics publisher MLJ—the chum’s uncle was one of the company founders. 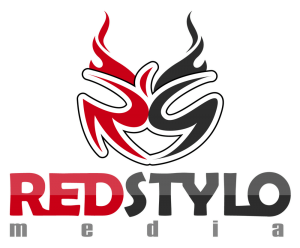 At the impressionable age of 11 or 12, Joe began visiting the MLJ publishing offices where he learned storytelling and other skills needed from top names like Mort Meskin, Charles Biro and Harry Shorten. 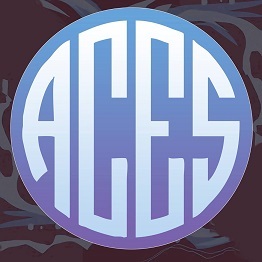 While attending the High School of Music and Art in NYC, Joe met fellow cartoonist Norman Maurer and ended up at the Harry “A” Chesler comics-packaging shop. Starting around 1937-38, Chesler gave Joe a table where he could practice drawing and inking while learning from the veteran artists. Chesler gave the “kid” $5 a week, eventually publishing several of the teenager’s stories. 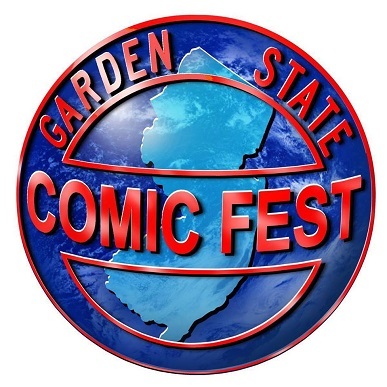 Joe was then hired during the summer of ’40 or ’41 by The Spirit creator Will Eisner for cleanup around the shop. 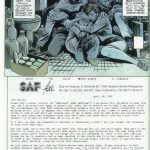 After Eisner was drafted into the army, Kubert inked Lou Fine’s pencils on the Spirit feature. 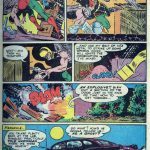 Joe’s first “official” published comics job (pencils/inks) came at age 15 with “Volton,” a character he created for Catman Comics #8, dated March, 1942. 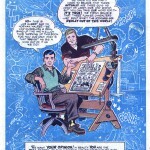 During the ’40s he worked at Jerry Iger’s shop and various publishers, including inking part of Archie’s first comic over creator Bob Montana’s pencils. Joe’s first job for DC Comics was on Doctor Fate, circa 1944. 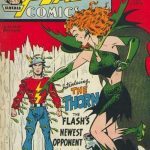 Soon followed stints on the Golden Age Hawkman and Flash (both until the final issue of Flash Comics, #104, 1948), for which Kubert became more well known. 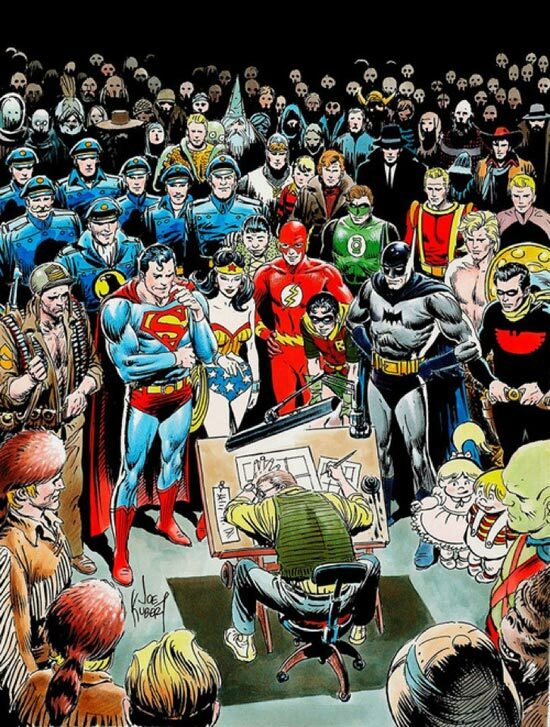 He continued working for DC (with only a few breaks) for nearly 70 years. 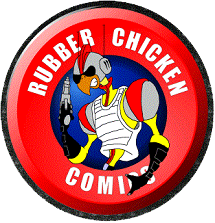 The 1950s saw Kubert become an entrepreneur. 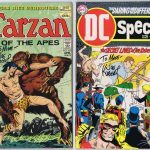 Before and after the Korean conflict, he set up his own informal “shop” to produce romance and other comics, mostly for publisher St. John, with his hired talents of Alex Toth, Hy Rosen and (future DC publisher) Carmine Infantino. 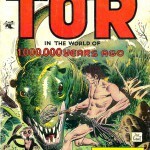 Soon after, he reunited with Norman Maurer to create the first 3-D Comics, featuring Mighty Mouse (not drawn by Kubert), The Three Stooges (Maurer had married Moe Howard’s daughter) and Kubert’s “caveman with a conscience,” Tor of One Million Years Ago. 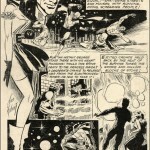 At DC, Joe co-created Viking Prince with writer/editor Robert Kanigher, and in a nice bit of coincidence, inked the first appearance of the Silver Age Flash over former studio-mate Infantino’s pencils. 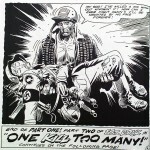 Kubert also drew three stories for EC Comics’ Two-Fisted Tales and Frontline Combat under editor Harvey Kurtzman in 1953. 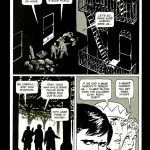 These foreshadowed Kubert’s long run with “war comics,” beginning in 1959 with Kanigher on Sgt. 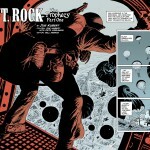 Rock and his Easy Company characters in DC’s Our Army At War. 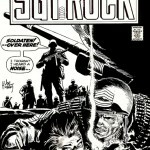 Kubert worked on the title (with occasional breaks) to the final issue in 1988, but often revisited Rock in other titles, including Sgt. Rock: The Prophecy in 2007. 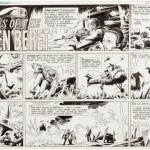 The ’60s saw Kubert realize his dream of (briefly) drawing a syndicated strip, Tales Of The Green Berets, with writer Jerry Capp (brother of Li’l Abner creator Al Capp). 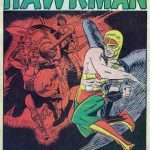 Like the decade itself, Kubert brought invention and innovation to the medium: he drew the first Silver Age revival of Hawkman, co-created DC’s western character Firehair, as well as The Unknown Soldier and the ground-breaking WWI pilot strip Enemy Ace (the last two again with Kanigher). 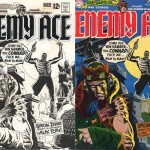 During this time he also contributed definitive versions, stories and/or iconic covers of The Haunted Tank, The Losers, “The War That Time Forgot” and many other DC features, both in and out of the war titles. 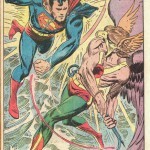 The ’70s saw what many consider Kubert’s greatest accomplishments. 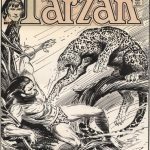 First, in 1972, he helmed DC’s continuation of the Gold Key Tarzan comic, beginning with issue 207. 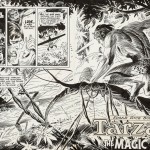 Kubert wrote and brilliantly drew many stories adapted from the Edgar Rice Burroughs stories that inspired his childhood. 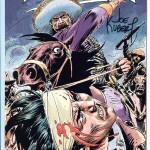 Kubert’s signature style on the run cemented his place as one of the greatest artists of the character. Then in 1976, Joe, together with his wife Muriel, opened The Joe Kubert School Of Cartoon And Graphic Art in Dover, NJ, the first school in North America devoted to comics storytelling, with classes taught by working professionals. 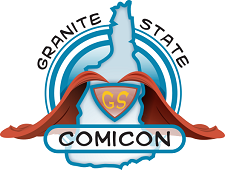 Since then, the school has turned out some of the best and brightest in the field, including Steve Bissette, Rick Veitch, Tom Yeates, Eric Shanower, Graham Nolan, Tom Mandrake, Steve Lieber and many, many more. 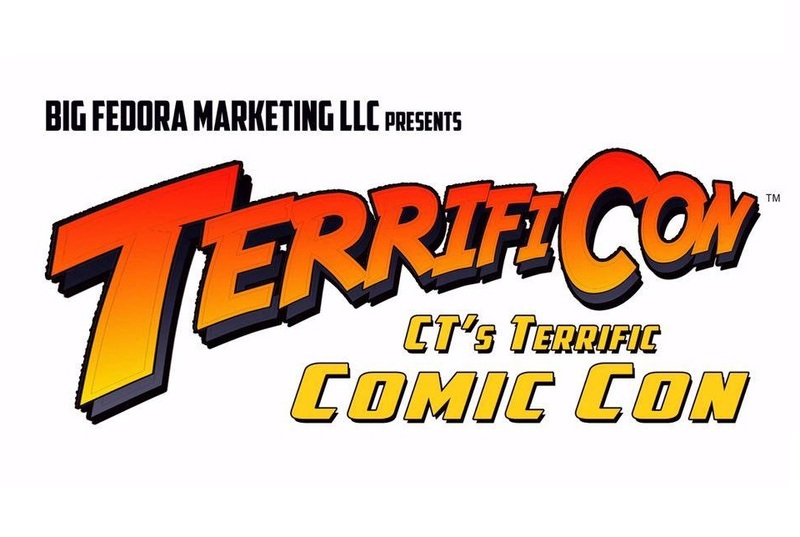 The accredited institution (re-christened The Kubert School in 2011) is currently run by sons and former students Adam and Andy Kubert, both of whom also have long-established careers in comics as both pencillers and inkers. 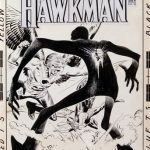 Despite his educational demands, Joe Kubert continued working his magic at DC throughout the ’70s and ’80s, co-creating Ragman, illustrating many stories and contributing scores of his typically eye-catching covers. 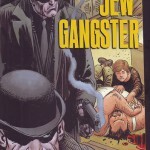 The following decades saw Joe delve into the graphic novel format with the multi-volume Abraham Stone (1990) and then several moving, human interest/true-events tales such as the award-winning Fax From Sarajevo (1996),Yossel: April 19, 1943 (2003), Jew Gangster (2005) and Dong Xoai: Vietnam 1965 (2011). 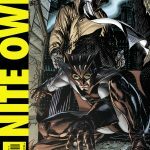 While working on DC’s Before Watchmen: Night Owl (with son Andy) and the anthology title Joe Kubert Presents, Joe Kubert passed away on August 12, 2012, over a month shy of his 86th birthday. 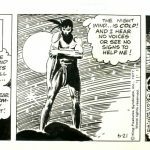 In testament to his stature in the field, Joe was one of the few giants inducted into multiple Halls Of Fame: those named after Jack Kirby (Harvey Awards), Will Eisner (Comic-Con International), and now Joe Sinnott (Inkwell Awards). 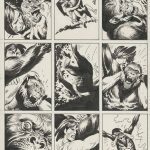 Although his work has been inked by a few others over the decades, Kubert always preferred to ink his own (loose) pencils, doing most of his powerful drawing in the inking stage with pen and brush. His prolific output is testament to his rare work ethic. During his heyday, he rarely worked “just eight hours a day,” often working overnight or multiple days without sleep, to meet his deadlines—despite having a family of five children. He never complained and never gave less than his best effort. He was a true professional, and he commanded the same respect he gave everyone else. 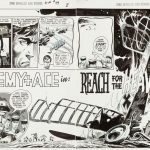 In an unprecedented, nearly 75-year career, Kubert did it all, drew it all and influenced and impressed all who had the good fortune of meeting him. 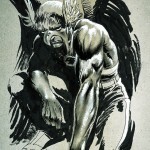 Through his teaching, his crystal-clear storytelling, dynamic figures and his deep, atmospheric inking, Joe Kubert created a legacy that few can match and none will surpass. 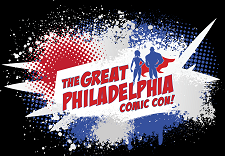 Article written by Kubert School alumnus (and Inkwell Awards committee member) Mike Pascale, September 2015.